Housework has never been so cute! As I mentioned on the Olive & Emerald facebook page, I am in the process of transforming my new apartment into a live/work space. There is a delicate balance to achieve and it takes lot of hours and sweat to get to that balance. Part of me thinks that I would be so much faster if I had really stylish dustpans and buckets and such. 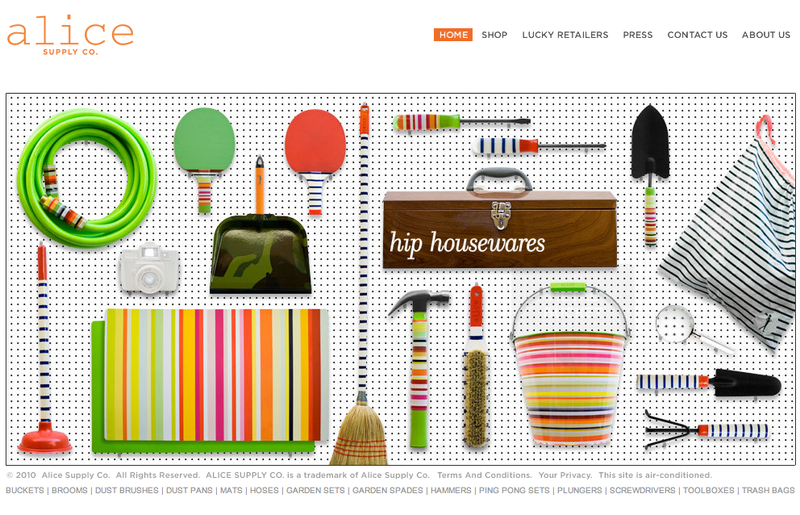 I especially love the wood toolbox and striped lime green dustpan. do they make lime green striped paint brushes!! ?